The Swiss & Slim is a brilliant electronic cigarette for those that want both style and long lasting vapour performance at the highest levels. 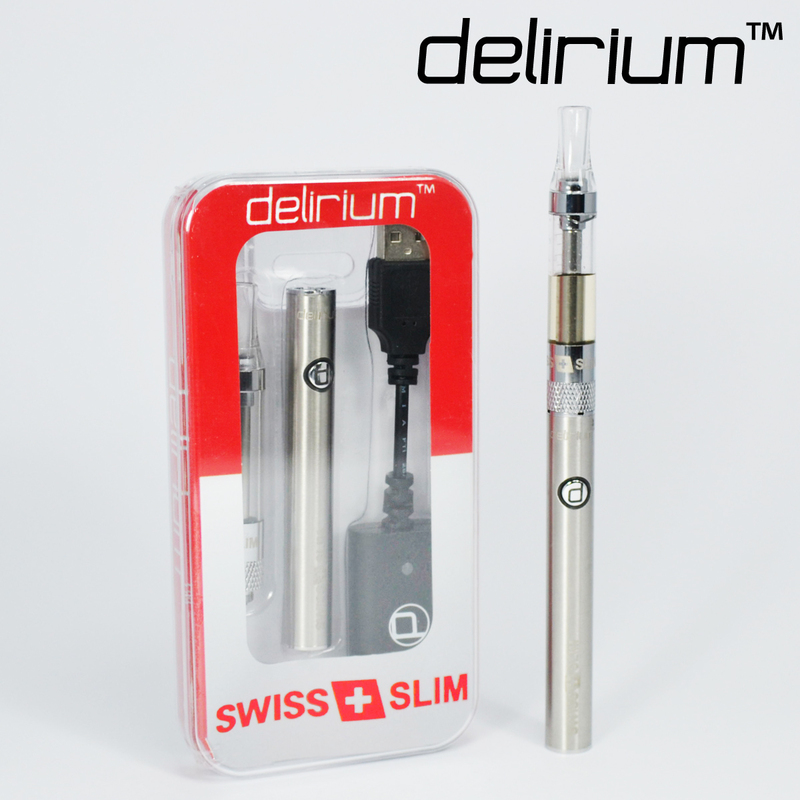 The sophisticated technology of the Swiss & Slim makes it perfect for beginners and experienced vapers alike. If you're looking for an electronic cigarette that has great looks, is easy to use, and creates volumes of thick vapour, we strongly suggest the Swiss & Slim. The Swiss & Slim feels great in your hand and is an exceptionally attractive vape pen - it's a modern day fashion icon that guarantees envious looks wherever you go. The 1.3 ml clearomiser will satisfy every vaper in terms of capacity and capability. The transparent clearomizer is very practical in checking how much liquid remains in the chamber; refilling the clearomizer is also very simple and straightforward. 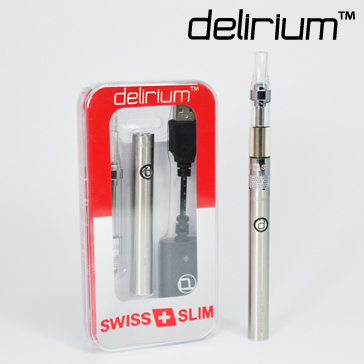 The Swiss & Slim electronic cigarette features cutting-edge BCC (bottom coil clearomizer) technology that makes vaping much more pleasurable and switching much easier. The quality materials used in manufacturing the Swiss & Slim make for one of the cleanest throat hits possible. The atomizing unit is completely changeable too; all you have to do is replace the atomizer head when it starts dropping in performance. The 400mAh battery is incredibly efficient and will get most vapers through the day without needing a recharge.